Did you know that if you're a business property owner in Ontario and your building falls under certain use or occupancy criteria, you MUST have a Fire Safety Plan in place? A comprehensive fire safety plan is critical to protect the occupants of your building, the safety of the property itself, and the firefighters who, at any given time, may have to respond to a fire emergency. While having a Fire Safety Plan, seems like a common-sense measure, current research indicates that only half of commercial property owners have prepared a plan. And, of those that do, only about 1 in 10 have a plan that is up-to-date and currently viable. As a property owner or manager, you don't want your property to be part of this statistic. The plan outlines a sequence of steps to be taken when a fire strikes. Its purpose is to ensure the safety and health of the building’s occupants and to minimize the damage to property and the environment. What Information is in a Fire Safety Plan? The plan is a written description of all life safety equipment, human resources, administrative duties, evacuation procedures, fire prevention, fire extinguishment, as well as the procedures in place to notify the fire department if, and when, the operation of life safety systems fail. How do I get or create a Fire Safety Plan? There are fire safety plan templates available through your local fire department or through the municipality in which your building is located. However, in order to have a thorough, detailed plan that takes into account the unique layout and specifications of your property, it is highly recommended that you contact a professional fire protection contractor to create a customized plan for you. Traditionally, fire safety plans have been paper-based documents, however, simple, convenient and cost-effective digital alternatives to the paper-based plan are now available. Plans created with internet-based or digital platforms are flexible, adaptable and very economical in terms of cost and efficiency. Some digital fire safety plans can even be easily modified to accommodate renovations, new infrastructure or the addition of emergency equipment such as sprinkler and alarm systems. The digital or web-based plan is also instantly available and downloadable by fire departments. Firefighters will have immediate access to valuable information about your specific location and building environment. As they are en route to the scene of the fire, they can download the entire fire safety plan to the truck's on-board computer terminal. Where do I keep my Fire Safety Plan? Whether you opt to create a paper-based plan, or a digital version, in either case, as per national provincial and municipal fire codes, you’re required to submit a copy of the plan to your local fire department for approval. The approved, stamped copy must then be stored in a regulation, weather-resistant Fire Safety Plan box, in an approved location on your premises. The box must be easily accessible so that vital information about your building and its occupants is immediately available to firefighters upon arriving at the scene of a fire emergency. Is a Fire Safety Plan a one-shot deal, or does it need to be updated? When changes to the physical structure of your property or its uses occur, your plan needs to be updated to take these changes into account. Under Section 2.8 of the Ontario/National Fire code, property owners are required to review and update the plan within one year of the changes being made. What if I don't have a Fire Safety Plan? Fire Safety Planning is a legislated requirement for most facilities under Section 2.8 of the National and Provincial Fire Codes. Building owners or property management companies must adhere to all aspects of the Fire Code. Owners/management companies that don't comply, risk hefty penalties or imprisonment [up to $100,000 for corporations and up to $50,000 for individuals]. Some municipalities are now taking a stance of 'zero tolerance' and are taking building owners directly to court if they fail to comply. How can I get a comprehensive and customized Fire Safety Plan? If you don't have a Fire Safety Plan, Wes Jasper, one of our Fire Service Professionals, would be happy to contact you to discuss your needs and provide an extensive and customized plan for your property. 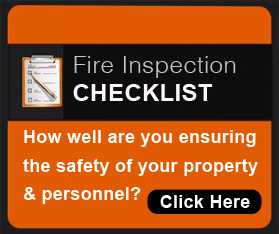 Do you have a fire safety plan for your property? If you do, is it up-to-date?